When the nights start to be in the 60s and I can leave the windows open round the clock, then it is summer. The fresh air moving through the house is enough to make me want to move south and wonder how I ever make it through winter locked up as we are. And the early morning walks with the dog when it is just getting light and the air is cool and sometimes a little misty are treasures that money can't buy. I am outside now with my camera more. 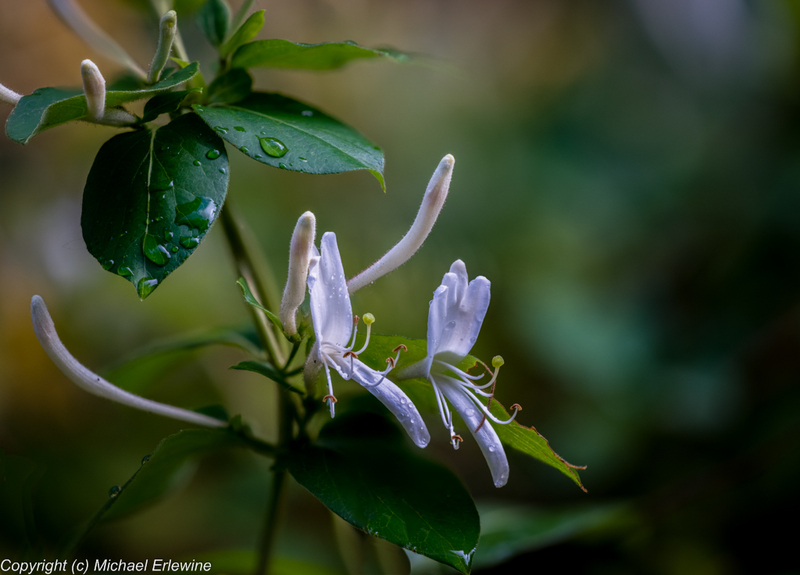 Here is a photo of honeysuckle in our yard in the cool of the dawn. What's not to like?